When it comes to the modern day folky poppy solo male singers Ed Sheeran is one of the best. They're not really my thing generally, I don't like James Bay and I can't stand Sam Smith, but in fairness, Ed Sheeran is pretty good. For a genre I don't like I can't help but appreciate some of Ed's stuff. 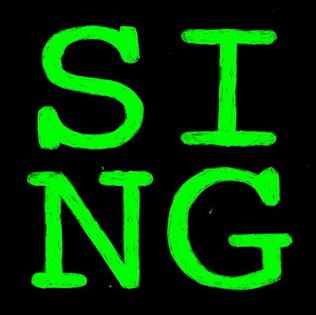 "Sing" is by far my favourite of his songs. It's incredibly catchy, and, clearly, heavily inspired by Justin Timberlake. I once read somewhere another journalist say that with "Sing", Ed does Timberlake better than Timberlake does. Which is some compliment. With the help from Pharrell Williams (again! ), Ed Sheeran has created one of the best pop songs of this decade. It'll be remembered for years to come. And it's a cracking tune in fairness. Speaking of the folky poppy solo male singers, check out Jamie N Commons. He's fantastic. Yes he'll be featured on this list at some point or another. If you missed #89 go here.